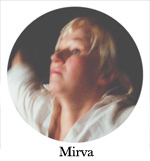 the Contact Improvisation festival in the middle of winter, in the middle of nowhere. SOS has a special flavour as a CI festival. It’s a community organised festival created for the last twelve years by around 15-20 organisers who give their time and energy for free. This year we will offer a heterogeneous mix of single classes, multi-class workshops, one classical intensive, research labs, lectures, discussions and other activities together with jams. Only the intensive requires you to commit, otherwise you make your own pathway through the festival as you like. Intensive or series of classes and single classes plus additional activities. There are only a 100 places available, so make sure to register on time. This year we have one (1) classical intensive that requires you to commit. If you don’t choose the intensive, you can choose what ever classes you wish and make your own pathway through the festival. We do have singular classes and series of classes. The difference between an intensive and series of classes is that the intensive ask you to commit to come all of the classes. In series of classes you can drop in or out, although the serie follows a certain theme. This intensive is focusing intensively on physical skills. We start with rythms inside your body. We will learn how your own body pendelums and inverse pendulums are working. Balance, tonus, and your body size are creating certain rythm of body organisation. We will learn our way of creating dance and learn how to connect and dive to our partners dance. This intensive is difficult. Material for classes is challenging and it is proposing to give up your own dance style. You will be challenged to be expand your dance to have multiple rythms at same time. We will analyse how you are creating rythms in your own dance and how other dancers are doing same. Support is in core of this approach as it is creating rythms in dance. We will practise skills to be underdanser and use skills to enrich our input to dance. The aim of this intensive is to get more aware of ryhtms in your dance and you being able to adapt to different dancing bodies. Being consious of rythms and not be unconsiouss. Being like a jazz drummer and handling multiple rythms at same time. If you are aware, you are free. While being aware you can have your ”own dance” and share it with other dancers. Lightness is a direction. Lightness is an attitude. Inside the arc of flight, there are fine mechanics at work. How do we develop the sensory capacity to read and play with the multiple forces affecting our bodies, in motion, and off our own supports? How do we communicate our constantly changing relationships to these forces with our dance partners, even as they continue to affect our movement? My understanding of the arc of flight in Contact Improvisation is less of a linear arc or wave, and more of a constantly opening, fractal-like spread of potential directions, where our pre-established neural pathways play a great part in our choice-making, and in what kind of dances we end up having. 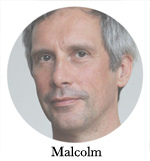 In this workshop we look at sensing direction through the soft underlayers of the skin, and the rhizome-like network of connective tissue. I want to offer ways to question assumed qualities of our physical bodies, and experiment with embodying imagery that may be contrary to those assumptions, yet equally possible or “true”. 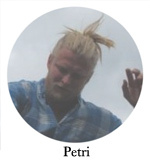 A mash up of physics, anatomy, idiokinesis, performance theory, somatics and a whole lot of “what if”, the class offers a framework for your questions to arise and morph into possible directions in an environment of research, listening and play. Principles of contemplative art. How it’s practised differs from subjective art. Using art theory from Gurdijeff and movement poetic inspiration from sufi-master Rumi. Offering tools which aim to create sense of unity and coherence both inside of the being of the dancer and also outside in present-based temporary movement community. Tools : Rest, relaxation and awareness. Heart centeredness. Present centeredness. Controlling orientation and content of the mind. Cultivating experience of sensies. Starting with awareness upon physical body and from there learning to expand awareness upon subtle bodies. Improvisation as vehicle for soul to journey in openess trough unknown. Responsibility upon resonance phenomena. Necessity to manifest clarity in boundaries in order for contentment to arrive. Deep study of beauty, truth and harmony unfolding trough dance. Sport, fun and play serving the needs of the expansion of the conciousness. Love as a moral and ethical principle of the movement formation. Intuition as a tool to know which way to walk. Being in contact as a continuous reality check upon the quality of the lived movement life. Community and contact as a supportive poetic gateway for Self knowledge. Dance fulfilling not only physical, emotional or mental needs but also spiritual needs of the dancer. So, dance, potentially experienced also as a gift, as a prayer, as an offering, or as a sacrifice. You, me and our dance as celebration of mystery of who we are. Freedom within. Trios can be playful, surprise full and fun. However, in jams, duet are often naturally happening, and sometimes trios can feel tricky. We feel that there is a lot of information in trios which opens opportunities for improvisation and breaking our patterns. We would like to support the dancing in trios in the festival and offer a space to practice trio work and offer some tools. This series of three sessions is for everyone interested in learning and practicing dancing in trios. Join us once or all the three times. 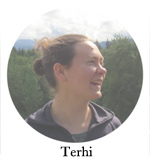 Terhi: We will use structures with clear roles to explore dancing in trios. Sharing tools to start a trio, keep it going and finding one’s place in it. Trying out, who three different individuals meet and how they find something common to share. 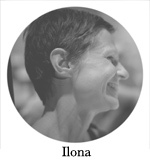 Ilona: We use a simple structure of three scores that are building on each other as steps. These scores offer space for a lot of dancing and improvisation. Annukka: Trio dates: Join us for a trio-work session with a simple score. After guided warm-up we’ll dance in trios for 20 minutes. Without verbal sharing we’ll change the trios 3 times during the session. We’ll end the Trio dates with guided reflection. Duration app. 1,5 hours. Rolling on the floor is the basis for dances on all levels. There is so many things happening in your body when you are rolling! We will focus on aspects that makes rolling smooth, easy and light. Those are finding curiosity and creativity in each moment, sharing weight and learning to regulate and direct your weight in movement and working with the center. 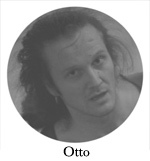 The classes are about curiosity in the movement possibilities that open from the point of contact. We will start with softening on the ground and towards the point of contact. We work with changing directions, tone of the body and keeping your whole body available for new situations. Through exploring different focuses we aim to develop clear movement articulation. As the title of the class is about rolling, we will stay most of the class on the floor. You are always free to choose your own pace, dynamics and you are encouraged to take care of yourself. Come with long sleeves and pants, lower friction makes rolling (which often involves sliding some part of your body) much easier. In these classes we warm up some dynamic movement skills and patterns through plays, tasks, drills and explorations. We jump, land, catch, uncatch, lift and fly, support and espace. We learn by doing, we explore familiar and strange new movement patterns, to seek out new dynamics, pathways, openings and new ways of movements, to boldly go where a dancer wants to go. This class we Explore material that is dynamic, hitting, cutting, blocking; Swirling, spiralling, turning. Towars the core. But always listening. Impulses travel through. What kind of dance we make of it? We aim to be specific and technical, offering tools to use and dynamise our dancing. My idea was to come together and talk through what kind of interest people have towards dance. We form small groups to explore/co-teach/dance/discuss/… and hopefully share our findings with others. Would be super if everyone could understand English. Translators are ofcourse welcome! A class about being clear of my needs and communicating them to the people I dance with. We will do physical and verbal excersices, dance, as well as share experiences of keeping one’s boundaries in the contact dance and a jam. 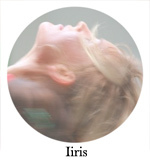 A supportive structure in which to practice and research contact improvisation. The idea is to arrive with questions and observations about contact improvisation about the form or about one’s personal relationship to it. At the beginning we take a little time to share those with others. Then we jam. For the first 20 mins there will be a perceptual warm-up which you can incorporate into your dancing if you like … or just ignore. During the jamming we agree not to use language – you can be as focused or focused, silent or noisy, as you like – just no words! At the end, we’ll switch back into language mode to come back together to share any insights we gained through dancing. other possibilities of support; that we could lean against or hang off, sit on or climb up onto. support is warm and contoured, constantly and dynamically in motion, and that motion controlled by a nervous system similar to mine. In this sense, CI can be considered as a solo practice. I experience myself having a dance, a solo, with the earth (ground) and the air (space) however it presents itself. I dance in, and offer my dancing body to, an environment which includes others. This has the advantage of removing psychology from the dance. I don’t have to worry if others are having a good time or not. I just work with the support of the earth as it presents itself through people’s structures. channel the support of the floor differently through themselves. interested I am in them as a person in that moment, then the safer we will both feel. A jam becomes a continuous ongoing solo though a living moving playground of possibilities. 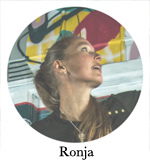 In these two classes, we’ll play with the idea of CI as a solo practice and see what the brings us, both in the the study of technical aspects of the dance and as a tool for jamming. Contact improvisation is based on the communication between two moving bodies that are in physical contact and their combined relationship to the physical laws that govern their movement; gravity, momentum, inertia. The body, in order to feel these sensations, learns to release excess muscular tension and abandon a certain quality of willfulness to experience the natural flow of movement. This class will include rolling, falling, being upside down, following a physical point of contact, supporting and giving weight to a partner. Values represent our guiding principles: our broadest motivations, influencing the attitudes we hold and how we act. Values are defined as important insights that are obtained the choice making in dancing, the way of thinking and the way of performing in CI community. Often a value gets essential when there is a lack of it. For example, if there is lack of trust in dance, that suddenly is seen as important value. In this class we’ll look deeper into our personal values and how they are present in our ci-practice. We will introduce different theoretical perspectives and viewpoints by various movement-based exercises (solo, duet and group work). When we are practicing our awareness, the ability to perceive bodily sensations becomes sharper. The sensorial world and bodily awareness are working together to remain aware of each other and simultaneously reflect each other. In this pre jam class we will explore the dialogue of weight, balance, reflex, and impulse between two moving bodies. Through the physical sensation of touch, and weight sharing, we will explore the skills of rolling, falling and maybe soft way of lifting. We will find ways how to use minimal effort in lifting and also how to make ourselves light when being lifted. We don´t need to become perfect with skills in order to have fun when we dance, but learning skills will often open new doors in jams which we would otherwise keep closed. There is lots of knowledge in the center of the body – not only for contracting and tensing but also for releasing your center when needed. We will move from the center of the body towards the extremities. We will work with center-limbs connection and do exercises of reaching, folding and spiraling to find a natural and organic sense of movement. We will play with how to use balance and off-balance by recognizing body weight and directing falling weight. Lately I have been curious about how I am leading or following with my center and how conscious I am from my choices. The Feldenkrais method is a somatic educational system which offers to improve the quality, range and comfort with which you move. Since you are moving every moment of your life, improving how you move can improve all that you do. Feldenkrais method classes present you with a series of movements that fit together like a puzzle that informs a particular function like walking, standing, sitting, reaching, etc. The movements are broken down into small manageable steps and you are guided through them without any pressure to succeed at anything in particular. In fact, it is not even necessary for you to get the movements right in order to benefit, since it is the process of you paying attention to yourself as you move that is the focus of ATM classes. It is by improving your ability to attend to yourself that can ultimately benefit you in every aspect of your life. 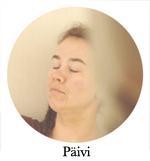 We invite you to listen and sing Finnish lullabies together. You can sing with us, you can relax and close your eyes, you can share your own lullaby. We’ll have some lyrics but we wont’s teach the songs, just sing. Here is 5 different text. I’m curious how these text might reflect, question, inspire, change your dance. It’s completely up to you what you will read, but I would hope that if you come to the discussion, you have read the text at least once and explored it while dancing. (maybe in a previous days jam, maybe on class, maybe before the festival). (because my scan is very bad I suggest you google: “steps to an ecology of mind pdf” get the book and read the chapter from there. Of course I recommend all of these books, if you have interest and extra space and money. I’ll try to find a nice place and have some tea for our conversations. This is a laboratory and research structure, with 20 minutes slots to work in different constellations. You can have a question you are thinking about, you can dance with someone you wish to dance with, you can ask for feedback, you can offer feedback. You can come there without any interest and be open to others. Present moment and heart centered aproach. Sharing the listening of meaning of being together here now. Centering into core of your heart. Bringing attention back when it slides away. Practicing concentration upon the sensation of how air is going in and out trough the nostrils. 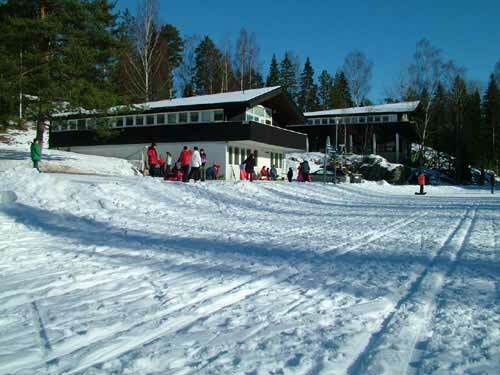 The festival will take place in beautiful, close-to-nature surroundings at Kisakeskus sports institute. Kisakeskus is located a few kilometers outside of Raasepori (part of this is known as Karjaa until the end of 2008), a small town about 100 kilometers from Helsinki. It is easy and cheap to reach by train, bus or car. We have dance spaces in two buildings. 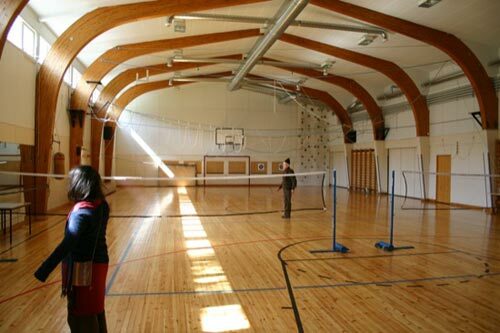 The big gym hall can be divided into three sections and has a nice wooden floor and wooden walls (see below). These spaces are mainly for classes during the day. The other studio is a bit smaller with a very nice mixture of wood and metal. This is the main jam space, but some classes and other activities also take place here. THe old floor was wood, but during the years it started to wear out and became dangerous. 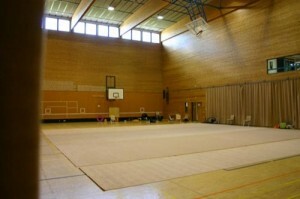 Last year we already had a new floor, not wood, but very nice to dance in nevertheless. Next to the jam space, there is room for “after ski”, evening snacks and so on. The dining room (see above) is in the same building as the jam space. Food is served by the Kisakeskus catering personnel. Most of the sleeping places are in houses with 4 people rooms. there is few double rooms and even few single rooms. unfortenutaly we cannot fullfill everyones wishes, but we will try our best. The cabins are handed out first come first serve basis. If you don’t get one, don’t worry. We don’t have much time to hang out in cabins and rooms anyway. 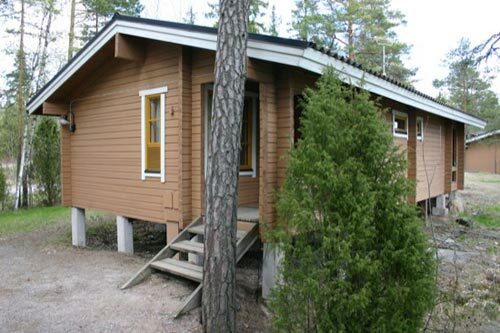 The cabins are located close (about 300 meters) to all the other buildings. They are on the top of a hill and most of them offer a beautiful view to the lake. There will be a hot Finnish Sauna three evenings during the week. 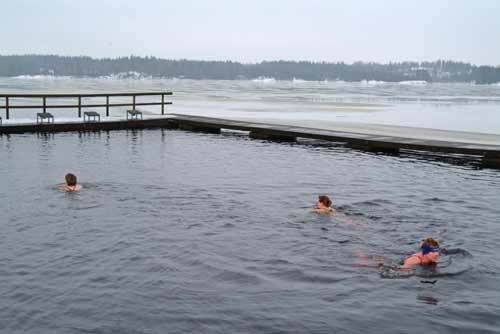 Sauna is next to the lake, which is probably on ice, but no worries, we have hole in the ice se you can go swimming anyway. If you have some question about the festival then please have a look through the list below before emailing us – there’s a good chance that you’ll find what you are looking for here. Are there any discounts/reduced prices? any possibilities for work exchange? No. This is a community organised festival and none of the organisers/teachers expect to be paid. It’s a labour of love. We are many and share the work so nobody has to work too hard. 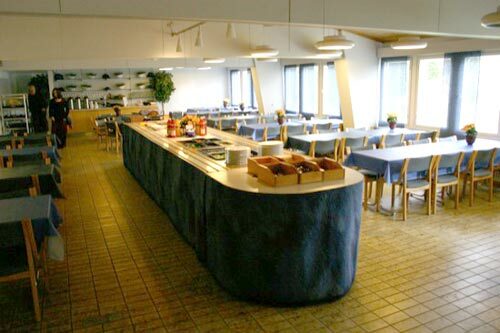 One of the reasons we do it this way is so that we can all enjoy the amazing facilities that Kisakeskus has to offer at the mimimum cost to all. The food and cleaning is done by Kisakeskus staff. Can I come for only part of the festival and pay less? No. Sorry but there’s only one price. Can I get a reduced price if I bring my own sleeping bag and sleep on a mat on the floor of the studio? 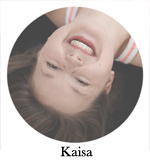 I live close to Kisakeskus and I’d like to sleep at home. Is it still possible to participate? Can you give me an invitation to help with getting a visa? Do I need to chose an intensive before the festival? Yes, when you register you will be asked which intensive you’d like to do. You also need to give a second choice in case your first choice is full. 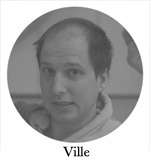 During the festival you can only attend the intensive that you are allocated. You will be told which one you are in after registration. Do I need to chose which classes I’ll do before the festival? No. You can choose anytime right up until the class begins. If too many people turn up to one class then the teacher may direct you to choose another class. To be absolutely sure to get into the class you want then arrive a few minutes early. I organise a festival. If I let you come to mine for free then can I come to yours for free? No. This is a community organised festival. It seems that there around 15 people organising/teaching each year and people are moving in and out of that group. We feel it’s much simpler to keep it clear that you pay to come to our festival and we pay to come to yours. Or else you could end up with 20 people asking for a free place at yours!!! I’m thinking of coming with my family – what do you think? Nice idea. Price for children from 5-11 years old (food and accomodation only) is 140€ – 4 years old and under are free. There are no specially organised activities but there are many spaces and opportunities for indoor and outdoor play. Where is Kisakeskus sports institute and how do I get there? You can take a taxi. This will cost around €30-35. To order a taxi, call 019 1069 1169. I need/can offer somewhere to stay just before/after the festival – can you help ? I need somewhere to stay just before/after the festival – do you know of any cheap hostels/hotels? How can I offer/find a lift by car directly to/from the festival? Use the SOS facebook page. I’ve not danced much/any contact improvisation before? can I come? Yes, there will be classes and an intensive suitable for beginners. A festival can be a great place to begin dancing ci – classes and there will there be lots of people to dance with in jams and it’s also a great opportunity to learn by watching. Do I need to do everything that’s on the schedule? No. Take time to rest. If you did everything then you’d probably be exhausted by the end. We hope you leave feeling refreshed and enlivened. I am vegetarian/vegan/other special dietary needs – who should i tell and what can i eat? There is a space on the registration form to let us know any special food requirements. If you missed this then please email registration. Is there internet available? Can I check my email? There is a wireless internet connection available in some buildings but there no computers available to us. If you know that you will need to access the internet then please bring your own laptop. If you don’t then maybe you get lucky and someone lends you their laptop to check your email. There are no shops, but just a small kiosk selling chocolate. beer etc. Please bring with you all that you might need during the week – there is no public transport available to a shop/town! Do I need to bring a sleeping bag/bedding? No, all the bedding and one towel are provided by Kisakeskus! But maybe you want to bring an extra towel for the sauna. What will the weather be like? What should I bring to wear? The festival occurs in what traditionally is mid-winter. There should be a thick layer of snow and temperatures typically between minus 5 to 15. But in these days of global warming it’s not so certain. Last year it was mild and wet with only a sprinkling of snow on the last day. 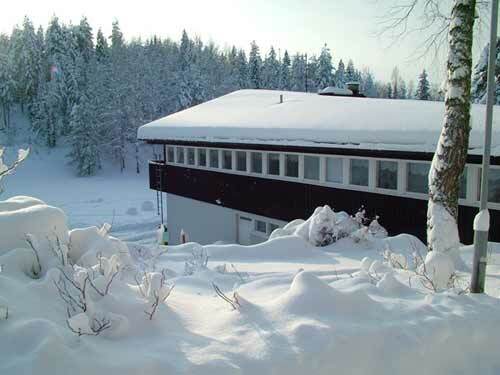 If we do get a typical Finnish winter then don’t be put off by the low temperatures – the air is dry which means the cold doesn’t sink into your bones – the indoor spaces are warm and there’s sauna.